Are you planning major renovations like the guy in the image. Perhaps replacing warn carpet. Many people consider hardwood flooring as an alternative. If you are unaware of the benefits of wood flooring, you have come to the right post. This post lists all of the major benefits that consumers enjoy when they install wood floors. Don’t forget that it is a personal choice. Some of the benefits will be more important for some people compared to others. Review our list and make your decision based on what is a high priority for you. Take into account personal likes and dislikes. Are you selling? Do you have allergies, etc.? Last For Decades – wood floors can last a very long time. They can even be re-sanded and stained ti make them look new again. Carpets may need to be replaced due to wear and tear, stains etc every five years or so. Easy to Clean – use a light brush or vacuum to keep it clean. Once and a while wash the floors with a damp mop. Carpeting must be cleaned with a carpet cleaning machine. More Hygienic – dust, skin particles and even food find their way deep into the pile of carpets. All of this material is easily vacuumed with hardwood floors. Combine with a central vacuum that exhausts outside and you have a super clean home. Eliminate Odors – carpets retain odors from pets and decomposing food particles. Hardwood floors are easier to keep clean and can be washed easily to get rid of odors. Underfloor Heating – wood is a great medium to use for underfloor heating as is tile. Carpets are not recommended over underfloor heating. Lower Long Term Costs – hardwood floors last longer as a rule and can be sanded and refinished. Soiled and warn carpets must be replaced at significant costs. Available for all Budgets – Hardwood floors are now massed produced and come pre-finished. They are designed to fit all budgets. Sell Your Home Quickly – Your homes value will not only increase, it will also sell more quickly than a home with carpet. There are many benefits to hardwood flooring. For many people it comes down to their budget. Don’t forget to take into account the long term cost benefits of installing a hardwood floor. Many consumers hire carpenters or handy men to install french doors for them when they could actually do the work themselves. 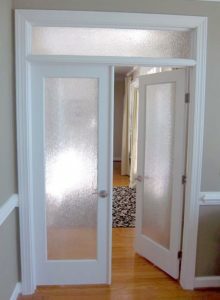 It is actually quite easy if you take your time, follow the steps outlined below and perhaps watch a few YouTube videos showing some of the visual details on how to install french doors into an existing doorway. This post assumes that you already have doors installed that you are replacing. The existing doors are used as a template and once your finished with them can be sold to recover some of your cost. New doors come in a variety of sizes, with primer paint already applied. Once they are installed you can apply a final coat of paint on them to finish them off. You will need the following tools and materials. Line up the door to make sure that the old door is perfectly aligned with the new door. Repeat the process to install the other door. Once your satisfied with the installation, remove the door handles and paint as needed. Use masking tape to cover the door hinges to avoid getting paint on them. Most doors come with one coat of door primer applied. If your handy at all, anyone can install new French doors into an existing opening with no problems and save money at the same time. Installing new French doors into an existing opening that already has doors installed is one of the easiest do it yourself jobs to do. The tools you will need are an electric drill with a Philips screw driver bit, a table to lay the door on to make your work easier, a drill bit to make the holes for the door handle, a pencil, a measuring tape, a square, cedar shims, a chisel and a rubber mallet. The money you save from doing the work yourself will more than pay for these tools if you need to purchase some of them. What follows is a step by step explanation of what you need to do. I found it easier to only remove one door at a time as well. If you have someone to help you from time to time to hold the door while you are removing the old door and installing the new one it also makes the job much easier as well. Line up the new door with the old door. Perfectly align it with the new door. Repeat the process to install the other door. Once your satisfied with the installation, remove the door handles and paint as needed. Most doors come with one coat of door primer applied. For more remodeling ideas that can save you money, click here. Most consumers throw out all of the materials that they remove from their homes during renovations. Any leftover new materials go the same route. In fact all of the renovation shows on TV make a big deal of wreaking everything. It is less costly to remove the old shelves, cupboards, sinks, faucets and toilets to prepare the space. They take sledge hammers to everything. It all goes out in one of those big trash bins or in a bagster like the one shown here. However if you are careful you can sell recycled materials from renovations. Reuse the material as much as you can. You might even make some money from the old items. Recycle or sell as much as you can. Sometimes the only way to remove something is to take a sledge hammer to it. Carefully remove items. Reuse them or resell them. Kitchen cupboards make great storage areas in your garage or in the basement. You just need to remove them carefully. Remove faucets in working order and resell them. Many people look for used materials to reuse them in cottages etc. One time I sold a used toilet for $10 to a guy. He was renting an apartment and somehow had broke his toilet. For $10, he was able to replace the broken toilet with mine. It was in good shape, very clean and in working order. Much better than have it take up space in a landfill spot somewhere. Many items are just beyond recycling. Carpets for example are usually quite warn down and possibly dirty. Tiles are usually broken as they are being removed. 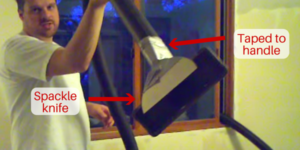 Remove mirrors without damaging them. Light fixtures are another favorite item to be considered for recycling. Remove them carefully and resell them. Window blinds are often custom made to fit a certain size of window. Blinds can be difficult to get rid of. However we offered some blinds for free one time on a free advertising page. They were picked up almost immediately by a family who ran a boys school. The blinds were used for the windows. They did not need an exact match. Before you take the sledge hammer to your old stuff take a moment to consider its value. Can the item you are about to demolish be reused or even sold at a bargain price. It can be a win win situation. The buyer saves some money. You the seller makes a little bit to help pay for the renovation work you are doing. Baby boomers are retiring in droves. So much so that there is only one person available to take a vacant job for every two available. With so many people retiring, it is creating new opportunities for many people of all ages. Some baby boomers want to pursue other careers. Others want to relax and enjoy life. All baby boomers need to prepare their homes for retirement and aging related issues. These issue can be generalized into three main areas. Steps that make it difficult for people to navigate their homes. Bathrooms that are difficult to use. The third item is the effort needed to continue to use your own home and maintain it in a comfortable manner. We will discuss each of these in a little more detail. Each person needs to make their own decision when it is best for them. In all cases it is going to cost some money, however in the long run, your life will get easier. Bathrooms – can be slippery and tubs can be difficult to get into. Many people install walk in showers or new tubs that have a door to allow you to walk into. Add a chair to sit on while using the sink etc. Maintenance – of your home is so important to maintain the value in your home and to avoid more serious problems of a home that is not well maintained. Replace windows as needed, paint inside and outside as needed, hire a cleaner to help maintain your home. Baby boomers are retiring in droves. I just read this morning that there are more baby boomers older than 65 than there are people under the age of 14 in this country. In addition there is only one applicant for every two jobs that are being vacated by baby boomers retiring from the work force. This is putting a lot of pressure on business and government, however that issue is a topic for another post. In this article we wanted to focus on the baby boomer building boom and what consumers over the age of 65 should focus on in their homes to allow them to age comfortably in place. After all most people want to do just that. They are not ready to move or downsize and in many cases it is just cheaper to stay where you are. However there are some things that need to be done to their homes to make it more comfortable to stay in their home as they age. We will cover three major areas that we all need to pay attention to. Bathroom – Slips and falls in the bathroom are a major accident source for many seniors. Wet floors can be slippery, we tend to be less steady on our feet and our eyesight is not as good as it used to be. Ever wonder how professionals make their baseboards look so great? No cracks or dark lines along the wall where the baseboards meet the wall. It is actually quite easy once you know the tricks that the professionals use to caulk baseboards. Use high quality paint-able caulking to fill the cracks before you paint the walls or the baseboards. When you cut the tip off the caulking tube, keep it small so that a minimum of caulk is applied. Using continuous pressure, run the tip of the tube along the joint filling the crack as you go. Remember that less is better, You can always add more later if needed. At this point the crack is filled, but it still may look a little rough and unfinished. The last step is to smooth the caulking with your finger. We like to keep our finger wet with a little bit of water. Run your finger along the crack filled with caulking to leave a smooth surface that fills the crack between the wall and baseboard. If you need more caulking in some areas because the crack was too large or you did not add enough caulking in the first place, just add more and repeat the smoothing process. I like to have a paper towel handy to clean my finger of excess caulking. Wet your finger each time to deliver a smoother joint and decrease the amount of caulking material that adheres to your finger. Let the caulking dry for 24 hours and then paint as needed. You will have a very professional looking joint as a result. Tiles have been very popular in many homes over the past several decades. New owners or even current owners sometimes feel the need to change them. They might have become chipped or cracked or they just are ready for a change. Remove old kitchen floor ceramic tiles, bathroom tiles or hallway tiles are much the same. You need to use the right tools and practice safety precautions in all cases. There are many ways to remove tiles. The method you use really depends on the situation. You may want to take extra care to avoid damaging surrounding walls, cupboards, etc. The tile may be easy to remove in some situations. In others you may need to almost use a jack hammer to remove the tile. 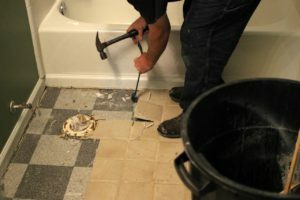 We will cover some of the basics for safety and removal of tiles in this post. Broken tile splinters and has lots of sharp edges. Pieces will break off and may even fly into the air. For these reasons we suggest that you wear safety shoes with steel toes. Leather gloves should be worn to protect your hands and safety glasses should be worn to protect your eyes. Saving money by doing it yourself is great as long as you do not suffer needless injuries. Before you begin, remove any furniture and items that could be damaged by the broken tiles. You may want to consider covering some items with an old blanket if you are unable to remove the item from the area. The tools you will use to remove ceramic tiles really depends on the situation. Some are easy to remove, while others are very difficult due to the concrete used. Location and work space can be an issue. For example bathrooms do not have a lot of space to work in and around kitchen cupboards is also difficult. Begin with a strong chisel with a wide blade at an edge to test how difficult it will be. If they come off easy keep going. You may have to graduate to an electric jack hammer with a flexible blade designed specifically for tile removal. These work well, however take your time to avoid damaging the floor underneath and surrounding walls and cupboards. The pictures above demonstrate the two examples discussed in this post. For more posts about remodeling your home and various considerations, click here. The number of people living in multi generation homes is increasing every year. The rate is 4.3% of families live with multiple generations in their home. As a Result these families enjoy many benefits of having multi generations live under the same roof. At the same time there are also hardships that impact the family, the quality of life and the financial well being of all parties. 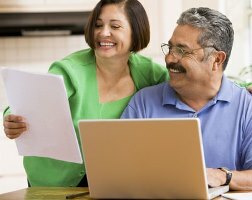 Many people will remodel your home for the sandwich generation needs, which can cost thousands of dollars in addition to many medical expenses. We will cover some of the following issues that many people find when they remodel this homes. Family values – for many people this is just the natural thing to do. There parents provided support and the kids would not have it any other way. Support older generations – older generations need support financially, emotionally and often physically as they age. Would you rather have strangers look after you or live with the family. Save money – both parties can save money. Obvious living costs are lower for everyone when the costs are shared. In addition, built in baby sitters, home sitting and even some of the physical maintenance might be considered. Avoiding poverty situations – many seniors just do not have enough funds to live comfortably. Living with the family reduces the overhead costs and allows them to continue providing valuable support to the family. Built in babysitting – is a huge benefit. The parents can get out once and awhile without paying for a babysitter. Adjusting to habits – everyone’s habits are different. Sometimes there is an adjustment period. This includes compromise and flexibility. Keep an open mind. 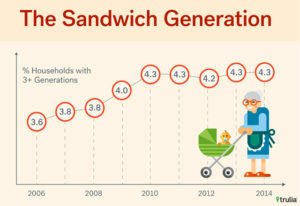 Trend increasing – as the graph above indicates there is a general increase in multi generational homes. We happen to think this is a good thing that provides many benefits to many people. For more posts about remodeling your home and various considerations, click here. 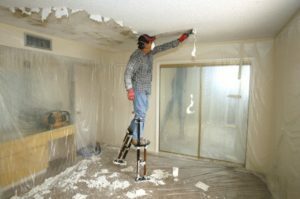 The traditional method to remove popcorn ceilings is the one shown in the picture. Basically the ceiling is sprayed with water, allowed to soak for awhile and then you scrape it off the ceiling. You end up with a large mess on the floor. It gets into everything and takes time to clean up afterword. There are several other approaches that we have come across which will save you both time and money if you hire someone to do this work for you. One method is to spray the ceiling lightly with water as before, but then use a shop vac while you are scraping the ceiling. Take a 6 inch scraper or spackle knife and tape it to your shop vac as shown in the picture. As you scrape the ceiling everything is sucked into the shop vac. Clean up is much easier and all you need to do is empty the contents of the shop vac into a garbage bag. Make sure that the scraper width is narrower than the width of the shop vac wand. This will avoid any of the popcorn material going onto the floor. Your removal and cleanup time will be shorter by hours and there will be no mess on the floor to clean up! Well at least there will be less mess to clean up after you are done. These jobs can be completed by professionals in much less time than you will take, but is it worth it. You can save hundreds of dollars doing lots of jobs like this one yourself. For more posts about remodeling jobs in your home, click here. If you plan to stay in your home after retirement home remodeling for aging in place should be strongly considered. If you plan to move at some point then this issue may not be that important. Think through changes to your home carefully. 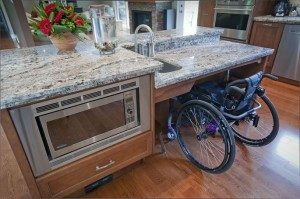 The picture shows wheel chair access to the oven and the sink. This is just one tiny example. There are many aspects to consider and there are resources available to provide you with ideas. Hallways and doors should be wide enough to accommodate wheel chairs. All faucet handles should be lever style rather than twist type. You may need to remove some furniture to make it easier to get around your home. These are general items to consider. Any time you remodel or renovate your home there may be many other considerations to think about. Imagine yourself in a wheel chair or getting around using crutches or a cane. Evaluate all of your day to day activities and assess whether you could complete them with out remodeling your home. Some people will even go to the extreme and pretend they need a wheelchair to get around to test how easy your home would be to get around. Do you need to install a chair lift to help get up the stairs? Some of these features can easily be reversed if you decide to sell the home. For more information about remodeling your home, click here. One of the biggest industries these days is home renovation, kitchens, bathrooms, landscaping and just about anything that needs repair or updating around the home. Lowes and Home Depot are making millions selling to home owners and contractors alike. Many home owners lack the time or the skill or the desire to do it themselves and decide to hire a contractor even though it will cost much more money. This web site is dedicated to saving consumers money and most do it yourself homeowners can save thousands if they do the work themselves. Avoiding a bad contractor can also save thousands so this is what this post is all about. Do your homework and hire the professionals even if they cost a bit more money. Avoid the fly by nighters by following the following guidelines and you should end up with a good contractor although there are no guarantees. If you feel uncomfortable about any of the issues, the contractor or his work ethics, then it is time to move to another contractor before you commit and award the contract. Large vendors of renovation materials like Lowes and Home Depot have many installers that work as contractors and come recommended by these stores. In fact all of your financial dealings are usually with the supplier i.e. Lowes for the material and the installation. 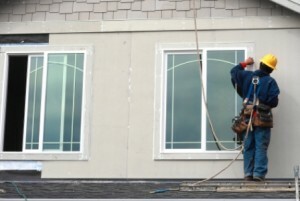 They guarantee the work and offer a level of protection that many small contractors just cannot provide. If you have additional comments or suggestions, please leave a comment and we will add them to the list. The walls are crooked, the floors are not flat and you are trying to install baseboards along crooked floors and ensure that they look great when they are finished! It can be quite frustrating to deal with this situation unless you know the tricks to dealing with crooked walls and floors. Most new homes will not have this problem to the level that you have to take unusual steps to install baseboards. But make no mistake, even in new homes the walls and floors will not be perfect. 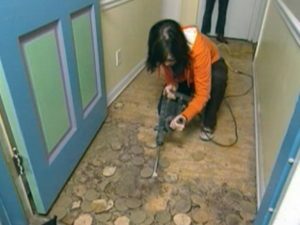 However consumers who own older homes will certainly experience this problem and find that floors and walls can be very curvy and crooked. 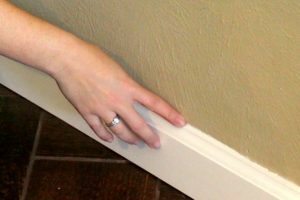 Installing a rigid baseboard can be difficult in this situation unless you take the following steps. Let’s assume that your floor has a hump in it and you are installing an 8 foot long baseboard. If you place one end against the floor, the other end will not touch the floor. In fact it could be an inch or more above the floor depending on how much of a rise there is in your floor. In the picture above there is a half inch difference and this simply would not look very good if you left it like that. The trick is to place the baseboard in place where it will be installed and position it in such a manner that the center is located on the highest point. Next use a level to make sure that it is level. You will probably find that both ends have a space between the bottom of the baseboard and the floor. Tack it in place so that it will not move. Next find a piece of wood that is the same thickness of the space between the floor and the bottom of the baseboard. Use a scrap piece of wood for this purpose. Next you will place this scrap piece of wood on the floor at one end and using a pencil scribe a line along the baseboard. When you are finished the line at the highest point of the floor should describe an arc on the baseboard. Using an appropriate saw cut out this area and place the baseboard in its place. 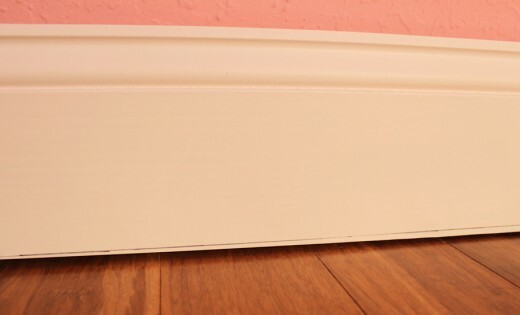 If you cut along the arc, your baseboard should sit flat along the floor and also be level as well! 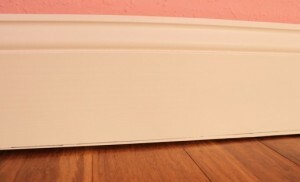 Most baseboards will bend to the shape of the wall when they are nailed to the wall. The nails must be long enough to penetrate the drywall and hit a stud behind the drywall. 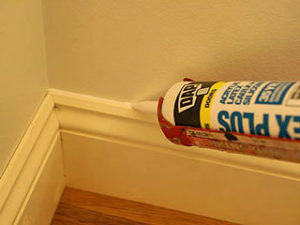 Run a bead of caulking along the wall and the top of the baseboard. Use just enough to fill the gap. Smooth it out by first placing your finger in some water. Then run your finger along the gap to smooth the caulking to leave a professional finish. The water will leave it smooth and avoid the caulking sticking to your fingers. Too much water will cause it to run and smear. It is always better to add a small amount of caulking so you can add more if needed. It is more difficult when you add too much and have to remove it later. Joints along the wall should be cut at 45 degree angles and caulking used to make the joint seamless. Corners are always more difficult in homes with crooked walls or floors. Best to use an angle finder and then cut the corners accordingly. Use caulking again to fill in any small gaps in the joints. 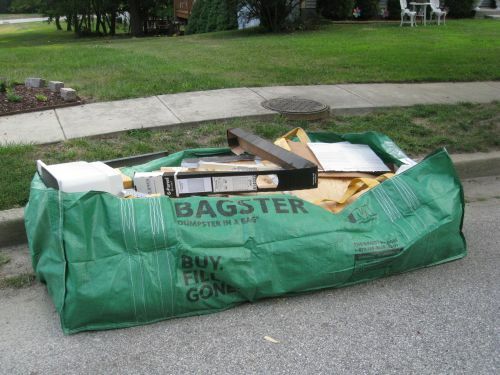 The Bagster is a really practical solution for those home owners who do not want to have a large steel bin parked on their driveway to handle all of the trash from a construction or renovation project. Consumers can purchase the bagster from one of many home renovation stores for a relatively small fee. It comes in a plastic bag that is about 18 inches by 24 inches and about 4 inches thick. Once unfolded it is 4 feet by 8 feet and approximately 30 inches deep. Consumers are urged to check the instructions. However you can place just about any material that is non liquid in nature into the bag for later removal. In this picture the home owner has placed some renovation trash in the bag. They can be filled up completely as long as you do not exceed weight limitations. The limitations are advertised on the bagster package. For example lumber is pretty light. You can fill up the bag to overflowing and there will not be an issue. On the other hand if you place concrete or asphalt in the bagster, you should check with the company. Confirm how much material you can actually place in the bagster. Once you buy the bag and then fill it with trash, there is a fee for the company to come and remove it. The cost will depend on the area that you live in. In our case was going to be $200. They come with a truck that has a hoist on it and grab the straps and lift it onto the truck. It is easy and painless other than the cost of the removal. If you have an alternate means of trash removal, that is less expensive, you may want to consider this. At a total of $250, if you have access to a trailer even with dumping fees, it will be cheaper to haul the trash away yourself. Whatever you do don’t be one of these idiots that just dumps the trash in a ditch somewhere. This is not helping anyone. It actually increases our taxes since someone eventually will need to clean out the ditch and haul it away. If you are placing wood and drywall into the bagster, you are pretty safe relative to the weight limitation. If you are disposing of concrete or asphalt for example, there is a limitation of how much you can place in the bagster. The guideline we received was that there should be no more than 10 inches of material in the bagster covering the full 4 by 8 area of the bag. This rule is in place to manage the total weight of the material and to avoid any potential accidents when the bagster is lifted onto the truck. We suggest that you call the 1-800 number on the package to verify the contents and the weight limitation that you have to adhere to before you purchase the bagster. Every year many people embark on kitchen renovations which can cost thousands of dollars. By the time you replace the kitchen cabinets, the sink, all the appliances and the floor you’re into thousands of dollars. A friend of ours spent over $30,000 to upgrade their kitchen. The worst part, not that it really matters, we do not like it at all. Replacing all of the appliances can be expensive enough, however at least you have brand-new state-of-the-art appliances. Replacing the sink and the faucets falls into the same category. Your flooring may need updating because of wear and tear and it’s great to have a brand-new floor that is current and modern. However, when it comes to the kitchen cabinets unless they are falling apart this is a major renovation expense that can be avoided as long as you’re willing to put a little elbow grease into them. 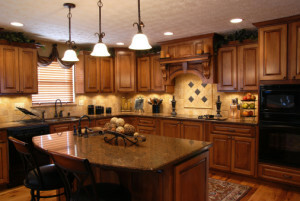 One way to avoid having to replace the kitchen cabinets and a major expense as well, is to paint your kitchen cabinets! Depending on the current finish that is on your cabinets this may be a relatively easy job or it may take more work. Either way, it is much less expensive than replacing them, installing new wiring and throwing the old ones out. The best approach is to take one of your cabinet doors into a qualified paint store. 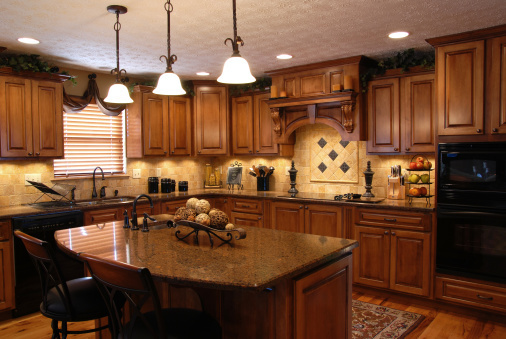 Ask for their opinion as to how best to refinish your kitchen cabinets. In most cases you will need to remove the existing finish. Then you will be ready to paint your kitchen cabinets. In our case we had white solid wood painted cabinets. The paint was a melamine finish and based on recommendations that we received from our local paint store we sanded each cabinet door lightly to roughen it up and then repainted with the white melamine finish using a foam roller. The application of the melamine paint was quite easy and straightforward however it needed three coats with a light sanding between each coat. This particular project took several weeks to finish however our kitchen was updated for a cost of less than $100 for the cost of the paint. Compare this to many thousands of dollars for brand-new kitchen cabinets. When we say thousands, we are talking at least $20,000 or more for new kitchen cabinets. Compared to spending $100, this is a major savings! This is a major savings opportunity for homeowners and something that almost any homeowner can do themselves. Don’t fall prey to renovation experts recommending replacing expensive cabinetry. There is no money in it for them to just do a small portion of the work. Consider alternate solutions like this one that are much less expensive. If you do not like it when you are finished or partly finished, you can always revert to replacing the cabinetry. In our last post, titled new toilet installation, we talked about some of the reasons why we were installing a new toilet and some of the tricks regarding installing a new toilet, that we learned from a plumber at one of the local hardware stores. This post will cover what we learned while installing our new one piece watersense certified toilet. Everything went really well and the plumber suggestions certainly helped. The most awkward part of installing this particular toilet in our down stairs vanity room was a lack of space. A two-piece toilet would certainly have been much easier to install. The space between the toilet and the wall was no wider than 6 inches and it was difficult to get behind the toilet to connect up the water hose. A person who is thin can definitely do this much easier. I am slightly over weight and found it very difficult to reach around to the water connection. We follow the steps outlined in the instruction booklet closely. We placed a towel under the toilet and tipped it upwards so that the base was exposed. Then we attached the wax ring to the toilet. Finally we then dropped the toilet down slowly onto the bolts that were in the ring on the floor. Once the toilet was in place we then tightened the bolts. The most important thing is to make sure that the bolts are not tightened too tight. Otherwise you can crack the toilet. At that point you have no choice, but to purchase a new toilet or install the old one. Both scenarios are not desirable so be careful. 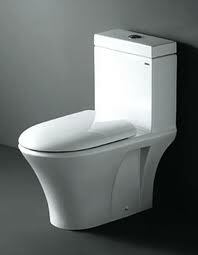 We also looked at comparing the amount of water savings that we would receive as a result of installing this toilet. We looked at the number of flushes per day. Which we felt averaged about 12 for two people. We then calculated the amount of water saved between our old toilet and the new toilet. We multiplied that number by the cost of the water for our city and multiply that times number of days per year to find out what the total cost savings would be. Once we had that number it was an easy calculation to divide the cost of the toilet by the cost savings to figure out how quickly we would be paying back this toilet per year. It turned out that our toilet would be paid for within two years based on the water savings alone, and my wife is happy with the brand-new toilet that looks modern and very nice. It has an elongated bowl and is higher which apparently is the new trend. The cost of replacing Windows in your home can be extraordinarily high especially if you have to replace all of the windows at the same time. In our neighborhood we have seen three or four of the neighbors make arrangements with a contractor to replace all of the windows on their home at the same time, whether they needed to be done or not. We also have one neighbor who does not paint his wooden frame windows at all. They look like crap and are probably rotting away which is not good for his home, his family or his home’s value. Since this web site is all about saving money, I thought this would be a good topic to write about and discuss the various options and the extremes as mentioned above. Basically there are four options with regards to managing the cost of replacing windows on your home. We are going to assume you hire someone to install the windows for you, although if you have the skills to do your own installation, then you can save in this area as well. We will discuss these options in more detail and some of the pros and cons of each scenario. You will have to make your own decision regarding which scenario is best for you in your own situation. We are assuming that all of the existing windows are wood frame windows on your home. We are really not in favor of this scenario, however as mentioned earlier one neighbor is using this approach and saving a lot of money for now, however sometime in the near future he is going to have to replace all of his windows due to the wood rotting etc. His windows look bad from an esthetic perspective and as they rot and loosen, air will begin to seep through and all of the seals will be lost. In fact if enough moisture enters, the surrounding wood framing can also be damaged causing more expensive repairs. From a cash flow perspective, expense is delayed for some time and then a major cash outflow will be required. if properly done, this scenario can extend the life of your windows for an extended period of time. Each year home owners need to inspect their windows and if needed scrape loose paint or bubbling paint away and then repaint the windows. If you do this every year and do a good job of it your wooden frame windows will last for more than 25 years. Avoid using companies such as student painters unless you give them specific instructions and inspect the work. They may not scrape loose paint away properly and water gets into the area that is cracked etc. In fact you may as well not bother painting at all if you do not properly scrape your windows prior to painting. Doing it yourself is by far the best approach providing that you are comfortable working from a ladder. The cost will be a can of paint and some of your own elbow grease to get the job done every year. We like this scenario combined with the previous one the most. We were able to limit cash flow the most and still maintain quality seals for the windows around our home. Basically we are scraping and painting our windows as mentioned above. Until we notice – wood rot, window cranks fail or the windows lose their seal between the panes of glass. When this occurs we arrange for new low maintenance windows to be installed. Our first window was replaced over four years ago, we have added 7 more in the ensuing four years and we have one more that we need to do this year. Compared to spending over $20,000 four years ago, we have been able to delay this particular cash outlay and spread it over many years. In fact we thing that it will be spread over 10 years which is roughly a thousand a year which is much more affordable than doing it all at once. We really do not like this scenario for the reasons mentioned above. However many of our neighbors have opted for this approach. I guess they want to only deal with the problem once and then move on. They also do not want to have to paint their windows at all. In fact one neighbor is not good at doing his own maintenance. He simply does not have the skills or the desire. For him this scenario is by far the best. Although you have to spend a large amount of money all at once, all of the windows are replaced. No painting or scraping is required and the new windows are more energy efficient as well. This scenario really makes sense for those people who are not concerned about cash flow. They do not want to be concerned about checking their windows every year. As we mentioned earlier, depending on your own situation, one of these scenarios will appeal to you more than others. If you do plan to paint your windows yourself or replace your windows, follow safe working conditions. Ask someone to stabilize the ladder while you are on it. Make sure that it does not fall while you are up the ladder. For more information about remodeling and other repairs, click here. Many consumers are doing their own remodeling to save money and to reap the enjoyment of doing it themselves. As a general rule of thumb, if you spend a $100 on materials, the labor is going to cost you at least double that. Bathrooms can be even higher. This is due to the small spaces and the extra time it takes to work around toilets and vanities. Depending on what renovations you plan you might also qualify for a tax refund as well. The big decision is whether you take on this work yourself or you hire someone to do the work for you. Bathrooms are very expensive projects for many people and also some of the most complex projects as well. This is probably the main reason why many people either do not do any remodeling or they hire someone to do it for them at a great expense. I recently took on the task of updating what is called the powder room in our home. This is the bathroom on the main level with a toilet and sink with a mirror over the sink. We replaced the toilet, the towel rack, the toilet paper holder , the faucet , the lights and of course the mirror. It is the removal of the mirror that I want to write about in this post. This mirror was about 30 inches wide and about the same high. It was a flat mirror and it was glued to the wall. The question was how was I going to get it off the wall intact without glass shards all over the floor and on me when I took it off. I was concerned that as soon as I started to pry it off the wall it would break and I would have glass every where. In fact it might even damage the sink which we had decided not to replace. It was fine and in perfect condition. So how would you remove this mirror that is glued to the wall without breaking it? Well it turns out that the job was actually quite simple. 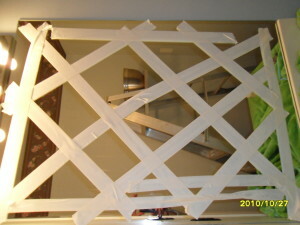 All you need to do is to first of all tape using masking tape as shown in the picture. This gives the glass extra strength and if it does break, it will stay together and not fall because the tape will hold it in place. Next place a towel or something on your vanity that can protect your vanity in case the mirror does break. You do not want any unnecessary scratches on the vanity. You can see there is a green towel in the picture reflected in the mirror. This was used to protect the vanity. Using a thin long blade, you then insert the blade between the wall and the back of the mirror and slowly cut through the glue and drywall surface until you can lift the edge of the mirror away from the wall. Continue with this approach until the mirror can be safely pried away from the wall without any breakage. You may find that some of the paper from the drywall is going to come with the mirror due to the glue. This is not a problem. All you need to do is apply some drywall compound in a thin layer afterword. Allow it to dry and give it a light sanding. You may need to repeat this process several times until it is smooth enough to paint. If you do use drywall compound, you really should prime this area with a primer if you are going to paint the wall. This will ensure that you have a satisfactory job when you are finished painting. Once we had the mirror off the wall we painted the ceiling and the walls, installed a new oval mirror and new lights and we were done. An easy job as it turned out and we save a great deal of money doing this bathroom remodeling ourselves. This is an easy task for most do it yourself consumers. You can save a little money and reduce the cost of home ownership. Before we begin, always use strip-able wallpaper. I am not even sure that you can still purchase non strip-able wall paper. Spend the extra money, it is not much. Install the kind that is strip-able and Removing Strippable Wallpaper is so much easier when the time comes. You will really appreciate this advice if you ever have to remove that wallpaper. This post is about removing wall paper from your wall and making an easy job of it. I just spent the last two hours removing wall paper in our front room of our house and it took me about two hours to do the entire room, thanks to our decision to use the strip-able kind. Even so this particular wall paper was more difficult than some, which I will explain in a moment. I have in past years removed non strip-able wall paper that was installed by other people and had a very difficult time removing it. Never again will I have to do this. I would not even buy a home with this kind of wall paper. The basic process is to take a wet sponge and wipe a small area, perhaps a 2 foot by 8 foot section. Let the water soak in for about five minutes and then grab a corner and begin to pull it off the wall. If it comes easy, the paper will come off easy leaving little backing on the wall. Next take the same sponge and wipe the wall that you have just removed the wall paper from. The remaining paper can be easily scrapped off the wall using a scraper along with any wet glue that remains on the wall. The last step is to again wipe the wall and clean off any remaining glue that may be left on the wall. If you are planning on painting the wall you may need to lightly sand the wall and apply primer to ensure great adhesion of the paint. Some wall papers have a heavy coating with a paper backing. Sometimes the water does not penetrate the outer layer of the wall paper very well. In this case it will probably come off the wall in two layers. The second layer of paper remaining on the wall. Once you have only regular paper left on the wall, apply water with the sponge again and then scrape the wall after about 5 minutes. This takes more time, but is very doable within a few hours. If you gouge the wall with your scraper you will have to patch it with a bit of drywall mud and then give it a light sanding prior to painting. This kind of wall paper should never be used. If you encounter this type, be prepared for lots of work. Use water as before and plan to do lots of scraping to remove the wall paper. Some times you may also have to use a little heat from a blow dryer to try to melt the glue, however this will be a lot of work and take quite a bit of time. Be careful that you do not accidentally cause a fire by making the paper so hot that it ignites. I once had to remove this kind of wall paper from a kitchen and it must have taken me two full days to get it all off. This stuff should not be on the market. 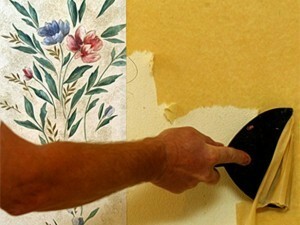 If you have suggestions about removing strippable wallpaper and saving people money, leave us a comment. Our readers will appreciate it.